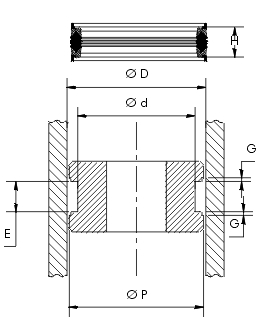 This product is a particular seal with resistance to heavy services which design allows assemble them in hydraulic cylinder piston that are surrender to vibrations and great distance movement. Working pressure 700 Kg/cm2 and working temperatures up to 130 ºC. 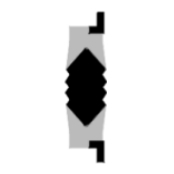 Retention element made of NBR. Its main characteristic is the presence of a series of retention lips. This distinction insure the support vibrations and hard slipping. to seals of hard fabric and NBR separated from the retention element. They reinforced and keep the action of retaining the stretch element. 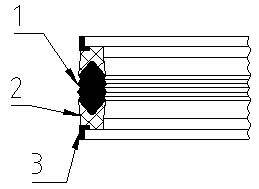 non-extrusion ring and guide ring. Insure piston centered.